Our Lectors proclaim the Old Testament and New Testament readings at Sunday and daily Masses. 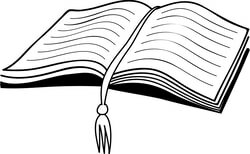 Lectors are members of the parish community who proclaim the Word at Sunday and daily Masses. Proclaiming the Sacred Scriptures and at times, voicing the Prayer of the Faithful are an integral part of the liturgy. Not only do Lectors need to be effective communicators, but they need to absorb and express the message of the Word. Training and preparation is provided once a year as well as ongoing formation. Your commitment to the Ministry of the Word is a gift to all of us at Holy Family. We are delighted to have Youth Lectors proclaiming God’s Word at our 9:00AM Family Mass every Sunday. Training is scheduled for young people from the fourth grade through high school. We ask our young parish members to consider this important ministry in the Church.